Lovehoney’s trade sales team supported Norwegian retailer Kondomeriet in a series of events last month to introduce new customers to the Official Fifty Shades of Grey Collection of pleasure products. 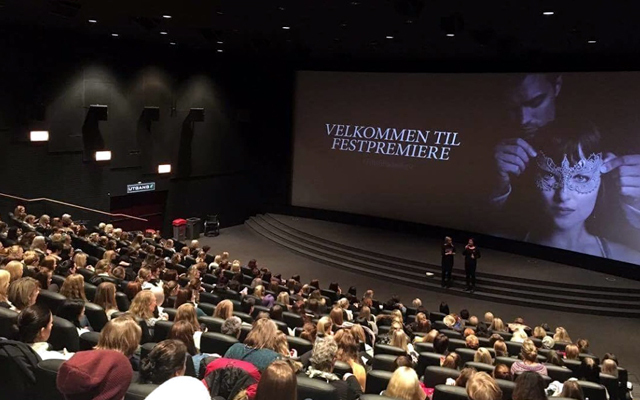 Lovehoney’s in-house videography team created an atmospheric cinematic trailer featuring products from the Fifty Shades Darker range, which was shown in movie theatres all over Norway, and 17,000 Fifty Shades Blindfolds were sent to 50 selected cinemas. A range of bespoke POS was also developed for Kondomeriet stores, which are located in positions in high footfall areas such as shopping malls and the main High Street in Oslo. 1,500 customers were invited to a privately hired cinema for an exclusive screening of Fifty Shades Darker and a Fifty Shades-themed party, complete with staff donning Fifty Shades Darker Masquerade masks, was also staged at the store.